NP Solar Hybrid Box | E-PROJEKT d.o.o. Solar Hybrid Box is also a product developed in cooperation with the Swiss company NP Energy. It is designed for users who do not have access to electricity (mountain huts, remote areas, Campers, ...). 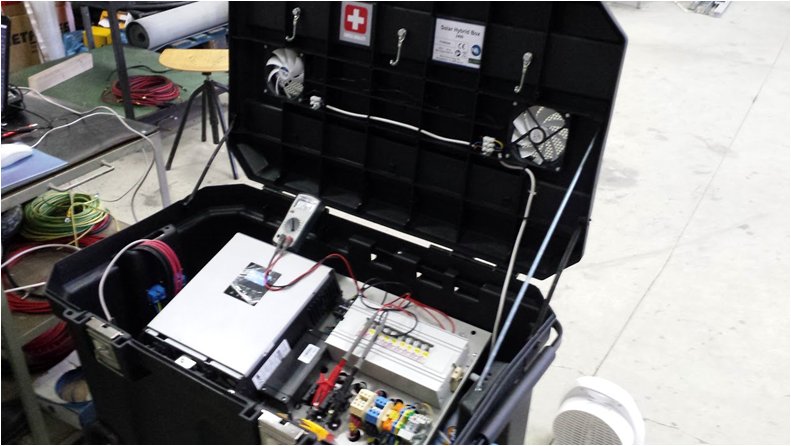 Solar Hybrid Box is a device equivalent to an off grid solar system. 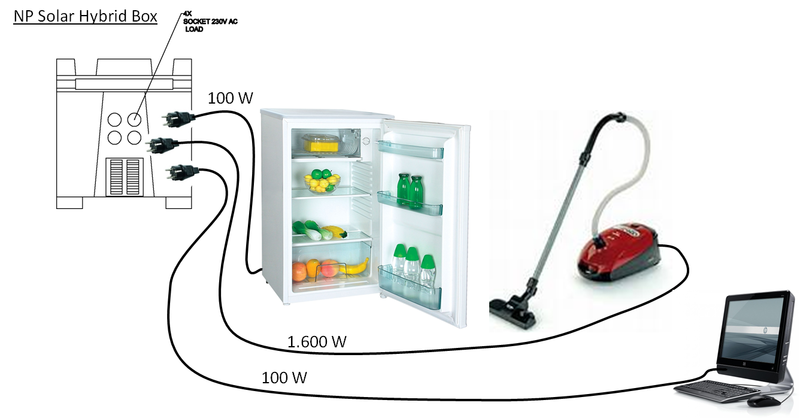 The advantage of this device is that it does not require any complicated intervention for the electrical installation and connection. The device occupies little space L: 95 W: 60 H: 60 cm. Integrated rechargeable batteries in connection with solar panels provide uninterrupted power supply. In case you want to extend the autonomy of the device, Solar Hybrid Box can be connected to an Aggregate. Solar Hybrid Box is a device that is easy to use and handle.